Grace Clark is a sophomore at the International High School of New Orleans, LA, and a student intern with Operation Spark, a non-profit that offers local youth a fundamentals course in software development and more importantly, helps them get jobs in the field. 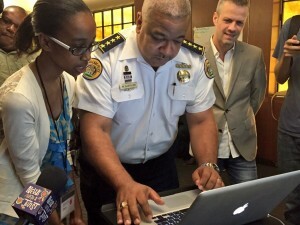 15 year old Operation Spark student Grace Clark helps NOPD Chief Michael Harrison write his first line of code (Photo Credit: Tyler Gamble/NOPD). 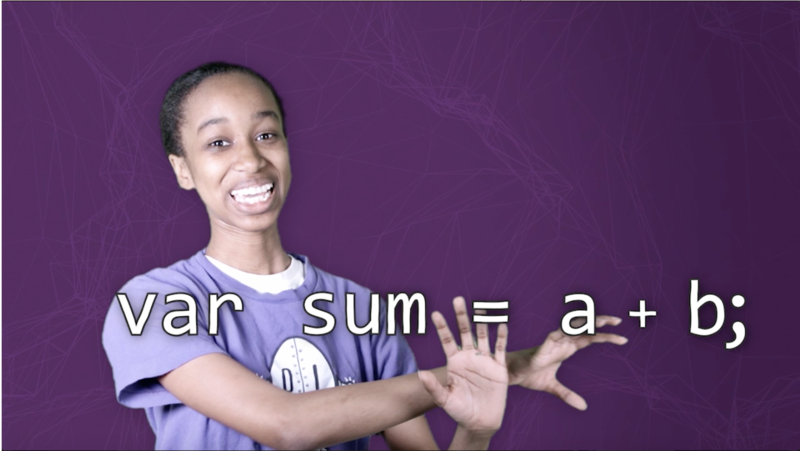 At 14 Grace was determined to learn, and had a mind for logic and deductive reasoning, two of the most important problem solving traits needed to become a successful software engineer. She also had a particular fondness for video games and digital media, like Anime. “Grace made it into our summer bootcamp, becoming one of our best students and one of my all-time favorite human beings. During one episode, I almost shed a tear when I asked my young colleagues why they thought Arrays were faster to loop-over than Objects, and she explained very clearly that integer-indexed elements, regardless of whether they’re stored in an array or an object, are much faster to iterate over than object properties” – says John. While working with Operation Spark, Grace attended the Essence Festival’s “Yes We Code” event where she represented inner city youth in coding and technology. In the summer of 2015 she taught coding to young children at Arthur Ashe Elementary school through a boot camp with First Line schools. She was also invited to the White House as part of the My Brother’s Keeper initiative, a program that seeks to improve outcomes for youth with high barriers to success from early childhood into adulthood. 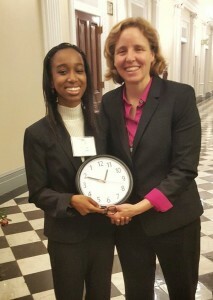 While at the White House she met US Chief Technology Officer Megan Smith, who presented her with a replica of the counterclockwise clock that CS pioneer Grace Hopper had hanging in her wall. This gift was of special significance due to the fact that Hopper used it as a symbol of change, explaining that: “Humans are allergic to change. They love to say, ‘We’ve always done it this way.’ I try to fight that. That’s why I have a clock on my wall that runs counter-clockwise”. Grace was later appointed as a “Champion of Change” under the Computer Science Education category , for which she would travel to the White House a second time. By offering women in tech a welcoming space and mentorship to shine, we can create diversity and encourage them to succeed just like Grace. At her young age, she is working hard to improve CS in her community and aspires to become an educator and teach English and computer programming in New Orleans. She’s an inspiring role model for anyone interested in a career in tech, and we’re sure we’ll hear great things about this amazing young woman in technology in the future. This entry was posted in WIT Spotlight. Bookmark the permalink.